The show was inspired by a visit to the West End & their love of all things ‘Boy band’ & has been a whirlwind of success! 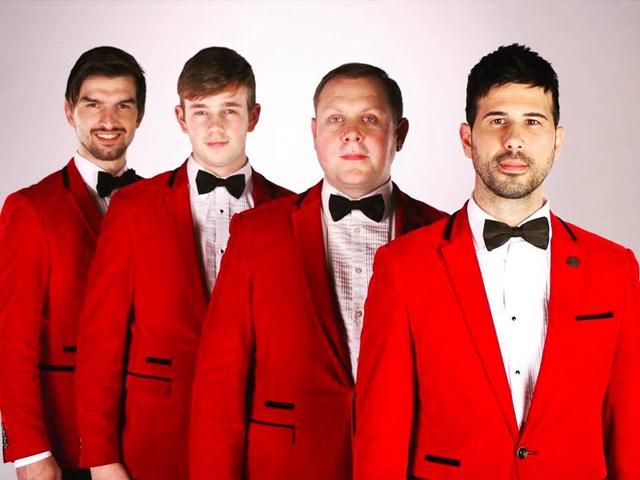 The show takes you back in time to those original Boy band harmonies & the infamous Red Jackets, but at the same time allows the lads the freedom to add their own spin & flair, they deliver their tribute to the music of Frankie Valli & The Four Seasons. Having perfected the vocals, the dance moves & all the biggest hits designed to get you on the dance floor & keep you there. They are the perfect cocktail for a great night.